This year’s JMRCA All-Japan 1/8th Nitro Off-road Championships were held in the Chiba prefecture over the weekend. 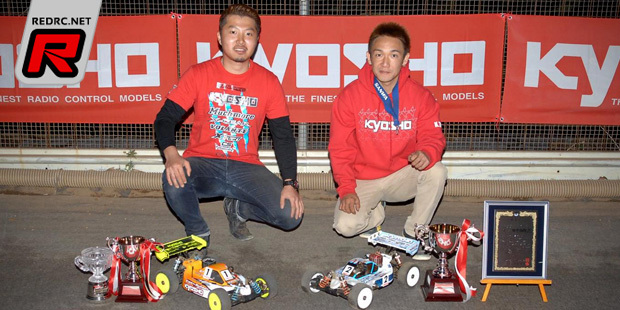 Kyosho’s Naoto Matsukura would take the TQ spot after the qualifiers in front of team mate Kazuya Tanaka. In the final Kazuya would then hold the upper hand, adding another national championship to his belt following his nationals win in 2012. TQ holder Naoto would end the main on the runner-up spot.